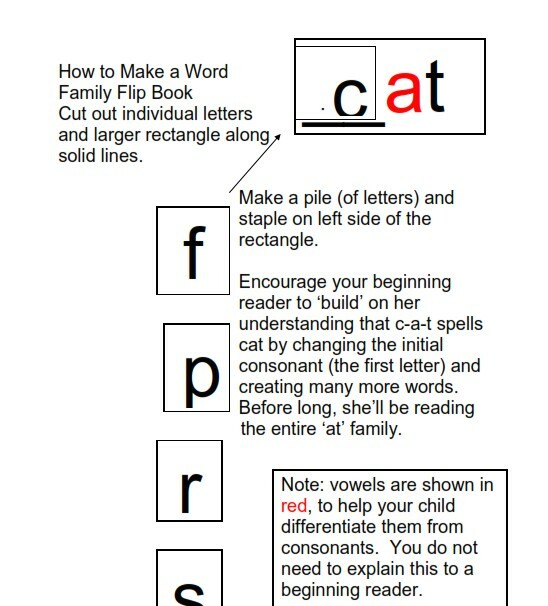 Whether supporting my own children as they learned to read, tutoring kindergarten and/or grade one children who are struggling with reading or presenting my Beginning to Read program, I have always been a great fan of teaching Word Families. 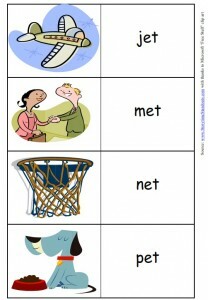 The idea of substituting a beginning sound (or an ending sound) can be introduced long before a child is learning to read. 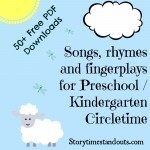 Phonemic Awareness activities will encourage preschool and kindergarten children to play with sounds. 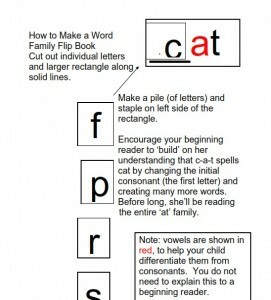 A young child with good phonemic awareness skills will grasp the idea of decoding Word Families very quickly. 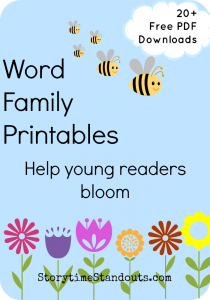 Step 3 – Choose from any of our 250 free downloads, including these free word family printables. 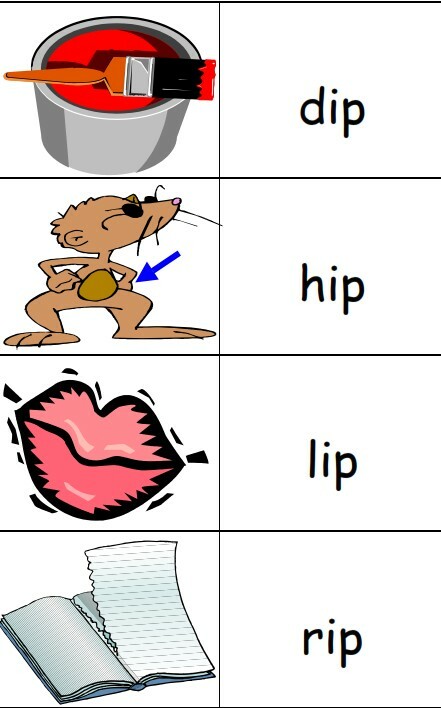 I use these Word Family flip books in my Beginning to Read program. 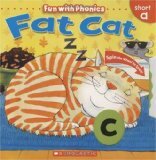 I find they are very effective in encouraging young children to see the relationship between BAT, CAT, FAT, MAT, PAT, RAT and SAT. 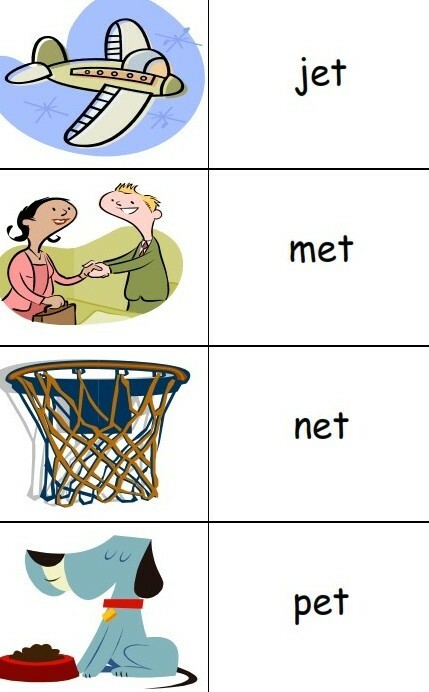 To adults, it is very obvious that these words are related. 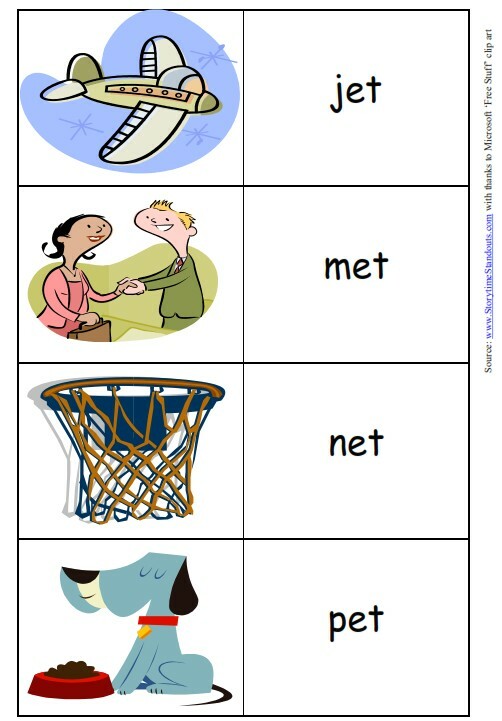 They all end the with “AT.” To a beginning reader, the relationship between these words may not be understood. 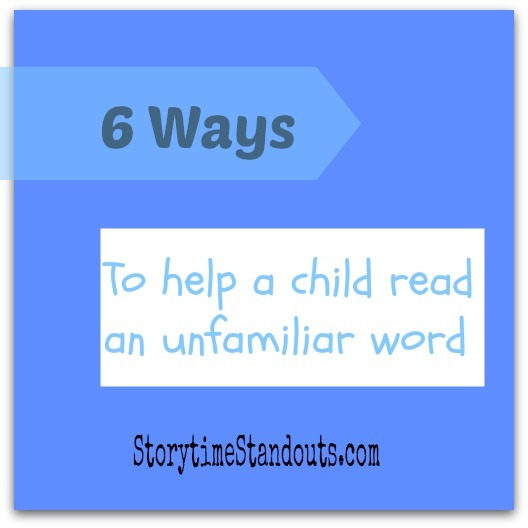 When children create a Word Family flip book, they notice the relationship between these words and they quickly learn to substitute the beginning sounds. 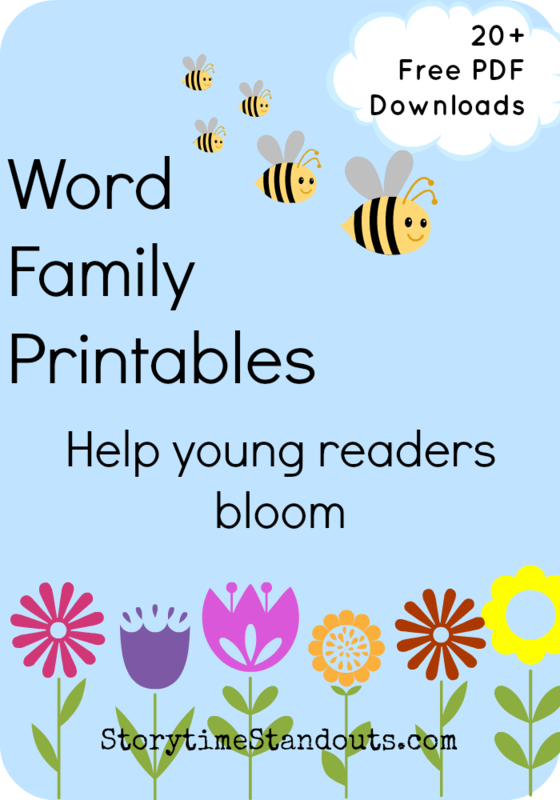 I also use these Word Family printables in my Beginning to Read program. 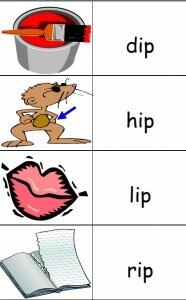 For children who are not quite ready to decode words, the picture clues provide additional support. 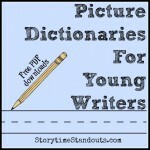 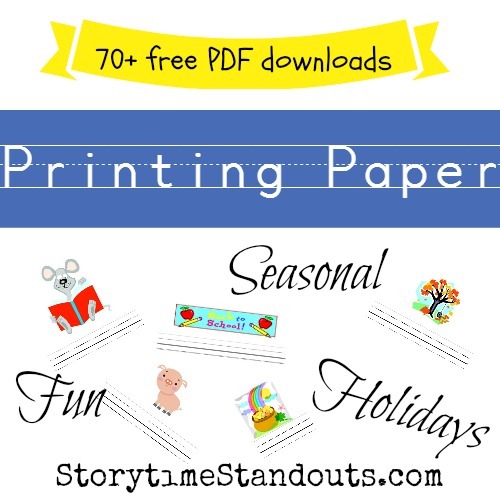 You will find our selection of free writing paper for kids here , our free printable picture dictionaries here and all of our homeschool, preschool and kindergarten printables together with parent/teacher resources here. 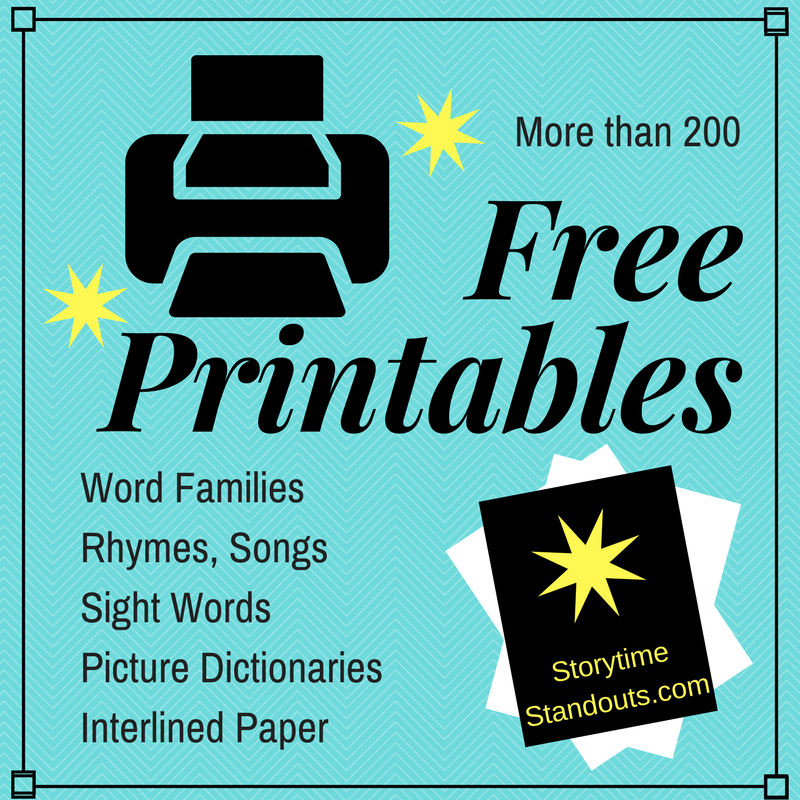 Follow Storytime Standouts’s board Word Families for Beginning Readers on Pinterest.